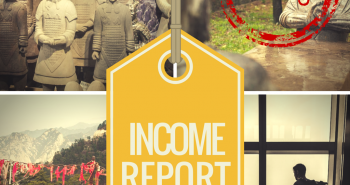 One of the key lessons I’ve preached over and over in my income reports is the fact that if you want to branch out in terms of your income streams you need to find ways to make yourself discoverable. The math is simple and is best said by Gretzky. In the past I’ve talked about places like IZEA and themidgame and sure they may not always pay dividends right away but rather than saying they’re a “waste of time”, I like to think of these more as long term investments. There’s a certain amount of patience that’s required for platforms like these and I’m about to introduce one more that has been another stream of income to augment my earnings. So what the heck is this new platform that Will is introducing me to? Okay so here’s the lowdown. SeedingUp is a self-service marketplace between advertisers and publishers (you) and essentially acts as an intermediary between the two. The whole idea is to create offers for various areas of your blog, set the price and if an advertiser is interested in working with you, they make an offer for that space. You of course have the ability to accept or reject. 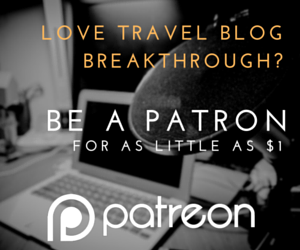 At the end of the day, this is a great way for bloggers to monetize and build passive income as I have. Offers that you get are pretty well laid out in terms of what is expected of you. Advertisers also respect your interest in doing no-follow links. 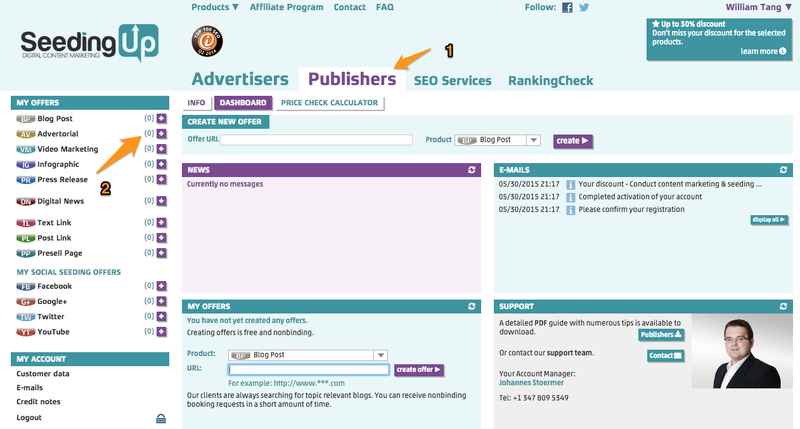 Being a publisher is completely free and you contain control of your site. No scripts need to be dropped or anything like that. The platform actually does all the crawling to figure out your numbers. 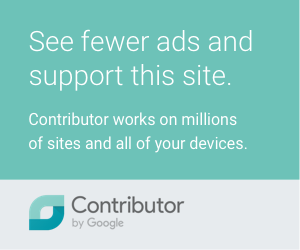 No need to go and try to figure things out yourselves or having to authorize connections with social media accounts or your Google Analytics. Easy peasy. The user interface is probably the most frustrating part of the platform. It’s outdated and not user friendly at all. When you first start using it, you’re probably going to be confused as to what you need to do but hopefully this post will clear some of those things up. It would be nice if there was some sort of tutorial of what’s going on at the beginning. The rates you can ask for is on the lower end of things so if you’re looking to charge high amounts, this platform may not be for you. From the SeedingUp home page, you’ll be able to initiate the sign up process. This will 4 self-explanatory steps. 2) Enter your Paypal payment details. 3) Programs you want to participate in. The last step is just confirming all of your details to create the account. 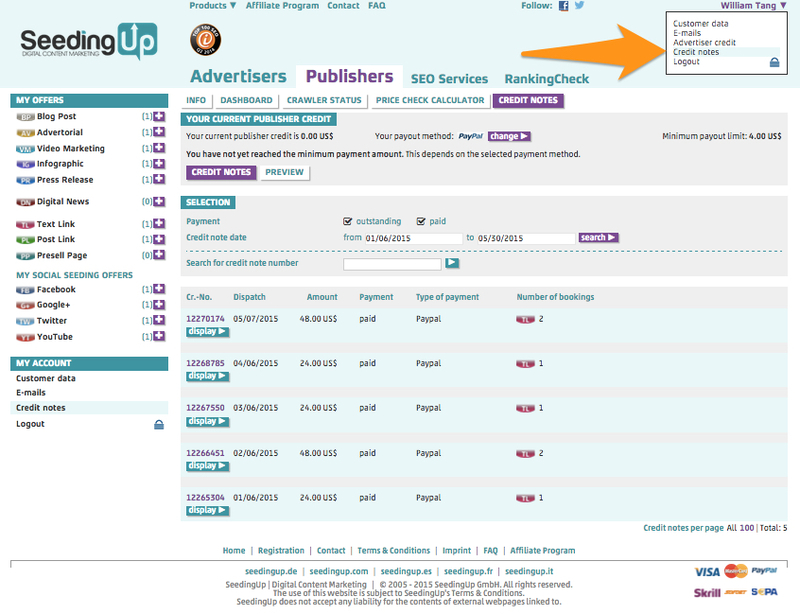 Even though you specified yourself as a publisher, you see the advertiser tab. You think you’d have to fill out your profile information with your blog’s URL and social media etc. but that’s actually all done through the creation of your offer. So the first step is to click on the “Publishers” tab and click on the (+) beside any of the offers under “My Offers” on the left hand side. This kicks off the process to get yourself listed on the first section of opportunities that includes sponsored blog posts, advertorials, video marketing, infographic and press release. 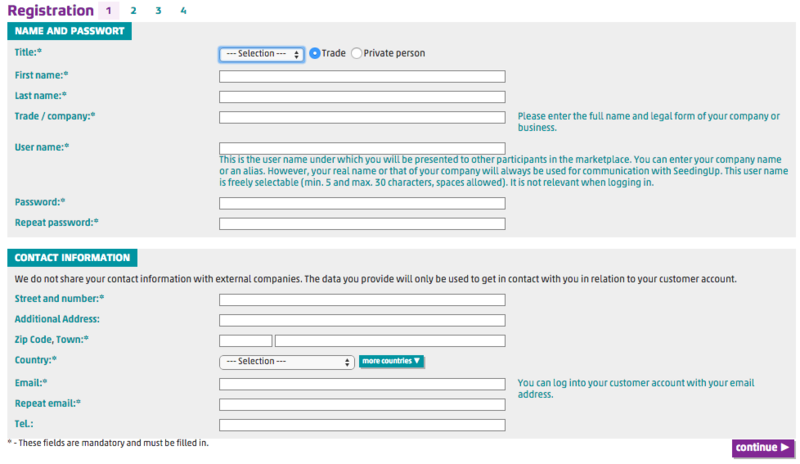 At the bottom of the form, you’ll have the option to choose which offers you’re interested in participating in. After clicking to continue, the next step is setting the prices for each one of those offers. I’m not exactly sure how they set the ranges for the slider bar but apparently its based on the category you’re in and possibly what SeedingUp knows about the URL you submitted in the previous step. This part is easy. Simply move the slider bar around to determine the price you’d like to charge for each. Like I said earlier, this doesn’t allow you to charge higher prices even if you know you can command those prices. There are also other options you can set in there like whether you’re willing to do “do-follow”. The offer gets reviewed and you’ll get an email a day or two later about whether its approved or not. PRO TIP: I had my offers set to max for the longest time but after seeing no traction there at all, I lowered it a bit and I got an offer right away the next day. Now that you’ve seen what it takes to create offers, you can see how easy it actually is. 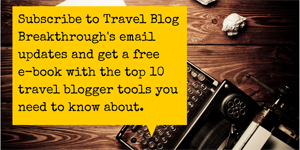 The next offer you want to create is the block of Text Link, Post Link and Presell Page (not really relevant for travel bloggers). The steps or more or less the same. 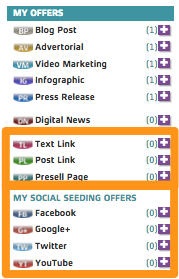 The newest feature for SeedingUp is the ability to create social offers now too. Drop in your social media URL’s and the system does the rest in terms of figuring out your stats. 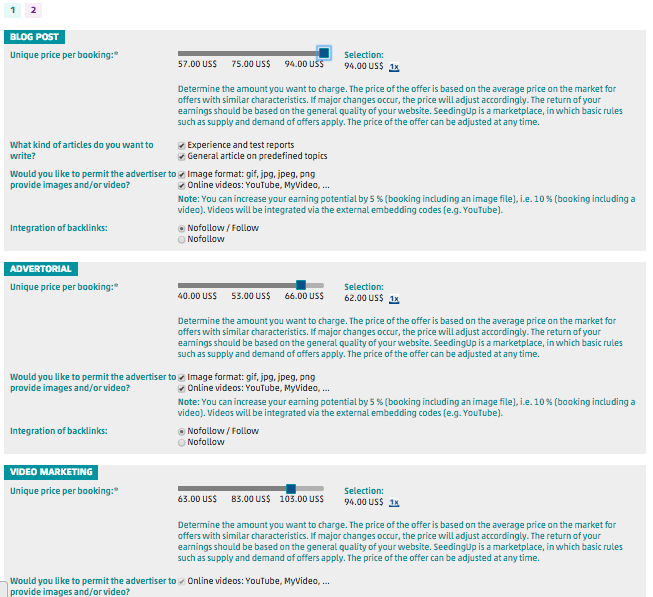 Other offers you can create on SeedingUp. 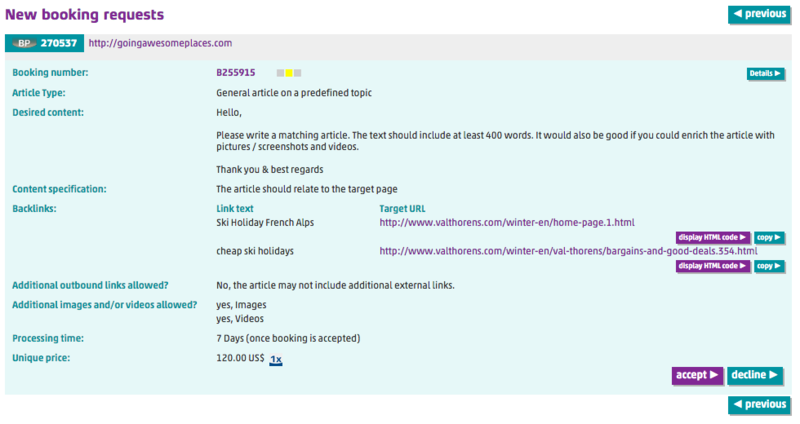 Here’s an example of a booking request (response to your offer). You’ll get an e-mail telling you about the booking request and once you log into the system you can review what they want you to do and if you like it, you accept it. If you don’t like it, just reject it and move on. 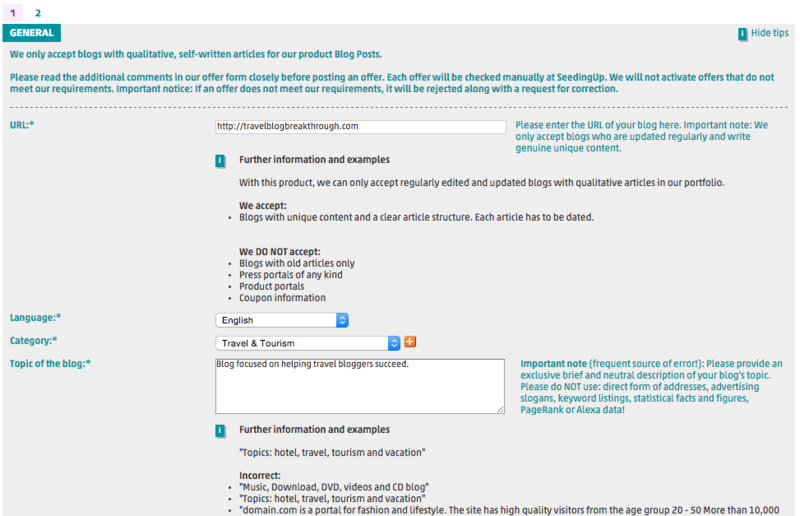 Reviewing a blog post offer. Now according to this request, I have 7 days to finish the writing of this blog post. Once you’re done writing that blog post, all you have to do is submit the URL and the SeedingUp crawler will determine whether it meets the advertiser’s specifications. This is different for all offers but once payment is ready, you’ll get an e-mail like this telling you that a publisher credit available on your account. Email you get after payment is made to your account. You then log onto your account and under the account dropdown select “Credit notes“. This will take you to the page you see in the screenshot below. I don’t have any credits available now but when one is ready, there’s a button that allows you to cash out and you’ll get paid via Paypal almost instantly. 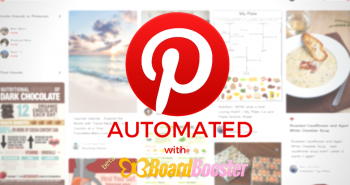 I mentioned passive income when I first introduced SeedingUp but so far I’ve only talked about sponsored posts. The one offer that I’ve had since almost day one of joining the account is a Text Link offer that has renewed itself every single month. If you go to Going Awesome Places, I’ve had this on my home page sidebar for awhile and it consistently pays me $24 a month. You’ll note that it is a text link but I ended up creating graphic just to provide some visuals so it doesn’t look that out of place. Some will say that $24 isn’t much but if you’re starting off, it’s a great way to almost cover all the cost of your hosting at WP-Engine. Beyond all of this that I’ve showed you there’s not much else to it. The only time I need to log on is to cash out on my Text Link offer or if there’s a new blog post offer. 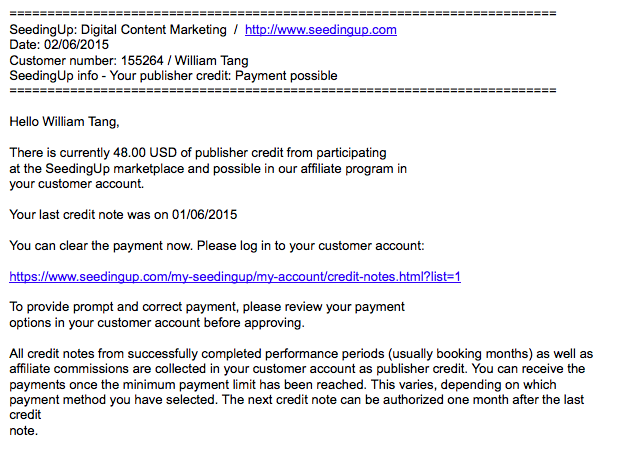 SeedingUp is another income stream that I can add to my tool belt. Johannes from SeedingUp here. Thanks for your constructive and honest feedback, it’s always appreciated. We’ll definitely take it into account for future updates. https://www.seedingup.com/products/blog-post.html . It is very hidden though and we’re looking to feature it more prominently on the site for both publishers and advertisers. 2. 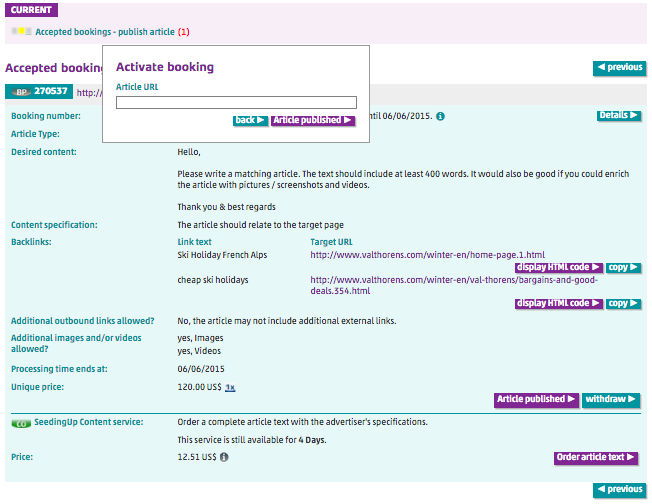 Receiving bookings from advertisers can be very sporadic. Some publishers receive a couple of bookings right after they set up their offer, others have to wait a little longer and/or tweak their offer a bit (e.g. price or description). 3. The rates are always worth a discussion but we do believe that our prices are fair. If bloggers aren’t happy with the prices, you can always contact us directly to work something out. Will, thanks again for the article. Keep up the great work. My pleasure in writing this. It was one of those gems I discovered in my search for income streams and this has led to a lot of different opportunities so I just wanted to share. This is such a lovely article. 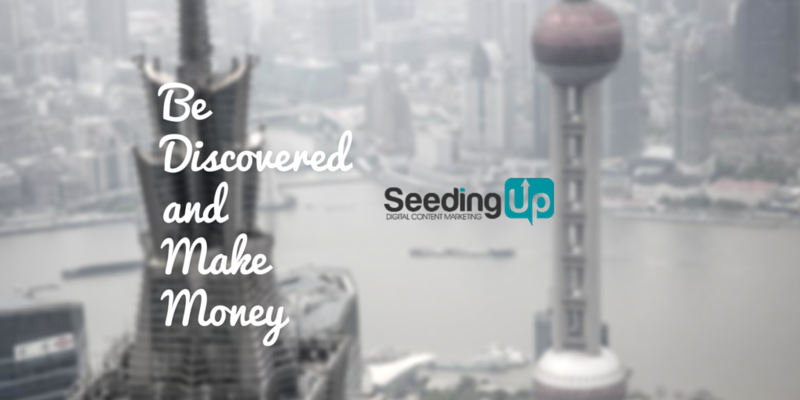 I had never heard of SeedingUp before I read this. It seems like a valuable source of income. Thanks for sharing! Happy you enjoyed this article Maaike!